If you believe in UFOs, you may be in better company than you think. Thirty-six percent of Americans -- about 80 million people if the survey applied to the whole country -- believe UFOs exist, and a tenth believe they have spotted one, a new National Geographic poll shows. Seventeen percent said they did not believe in UFOs, or Unidentified Flying Objects, and nearly half of those surveyed said they were unsure. Perhaps reflective of today's political climate, there appears to be near-universal skepticism of government — nearly four-fifths of respondents said they believe the government has concealed information about UFOs from the public. The study, commissioned in anticipation of National Geographic Channel's "Chasing UFOs" series premiering Friday night, was not all serious, said Brad Dancer, National Geographic's senior vice president for audience and business development. Respondents were asked whether President Barack Obama or Republican challenger Mitt Romney would handle an alien invasion better (Obama won 65 percent in that contest) and which superhero they would call in to fight off the attack (the Hulk beat out Batman and Spider-Man). "We were trying to have a little fun and see if pop culture references have had an impact on people's beliefs," Dancer said. "It's intended as a fun survey of public opinion." Hollywood, he added, may have contributed to the belief — held by 55 percent of Americans, according to the study — that Men in Black-style agents threaten people who report UFO sightings. As movies portraying aliens become increasingly convincing, they may subconsciously affect people's attitudes, he said. A growing number of Americans have come to believe that Earth is not the only planet in the universe hosting life, he said. The study showed that 77 percent of Americans believe there are signs that aliens have visited Earth. While the study may be used as ammunition by the vocal minority of UFO enthusiasts, Dancer said that it leaves open the precise definition of the term UFO. "UFO doesn't necessarily mean alien spacecraft," he said. "There are things that are unexplained. They're interesting because they're unknown. People love a mystery." 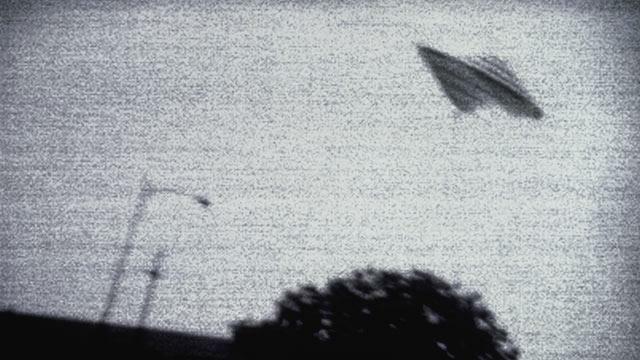 The study, conducted by the polling firm Kelton Research, found that more Americans believe "The X-Files" best represented what would happen if aliens invaded Earth than any other movie. The study, in which a random sample of 1,114 Americans 18 and over was surveyed, also asked what respondents would do if aliens visited Earth. Nearly a quarter said they would try to befriend the extraterrestrials, 13 percent said they would lock themselves indoors, and just one in 20 said they would "try to inflict bodily harm." Those numbers did not surprise longtime UFO investigator David MacDonald, director of the non-profit Mutual UFO Network, who said the idea of contact with extraterrestrials has become commonplace in the last few decades. "We have grown up with 'Star Trek,' 'Star Wars' and 'Battlestar Galactica,'" MacDonald said. "We're at the point where we'd say 'What planet are you from? Oh well, let's have a beer.'"